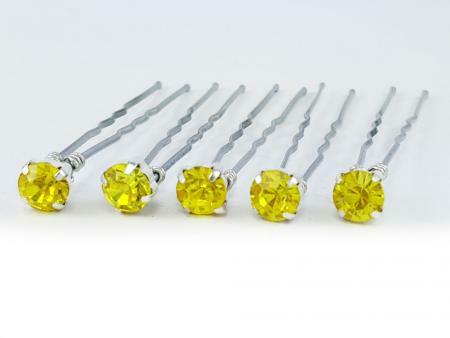 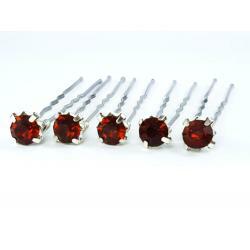 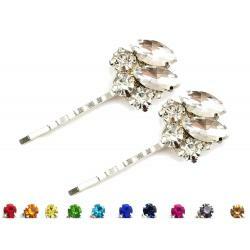 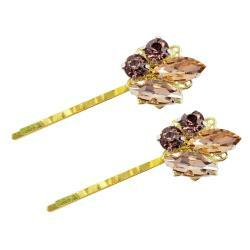 One set of 5 Sparkling Citrine Yellow Rhinestone Hair Pins featured on assorted pins to choose from. 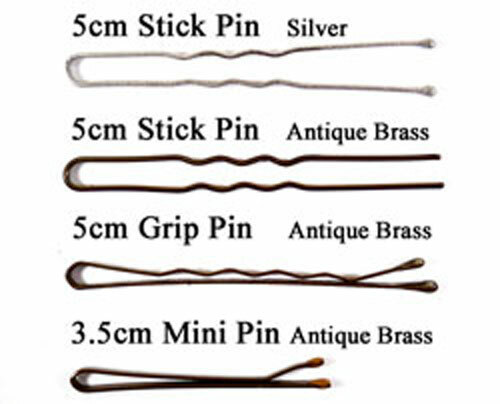 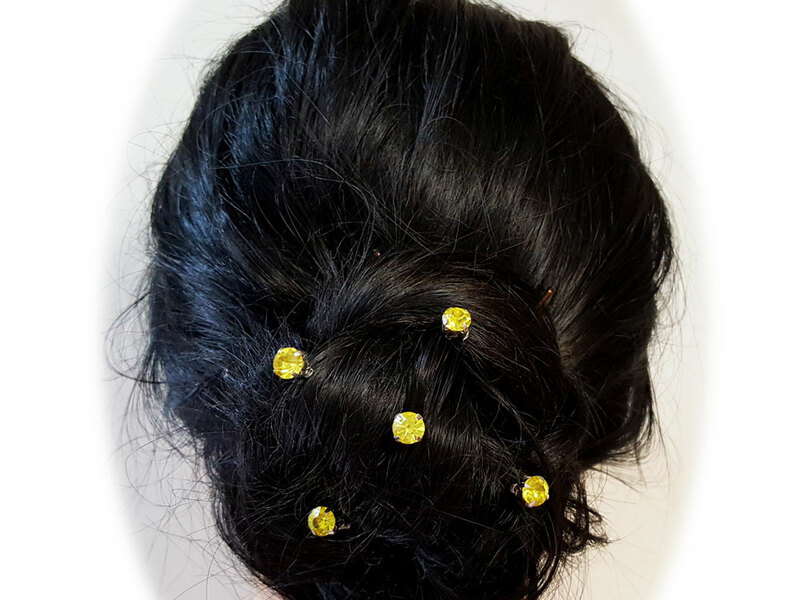 These rhinestone pins are great option for decorative fillers in your hairstyle to compliment Stranded Treasures hair flowers. 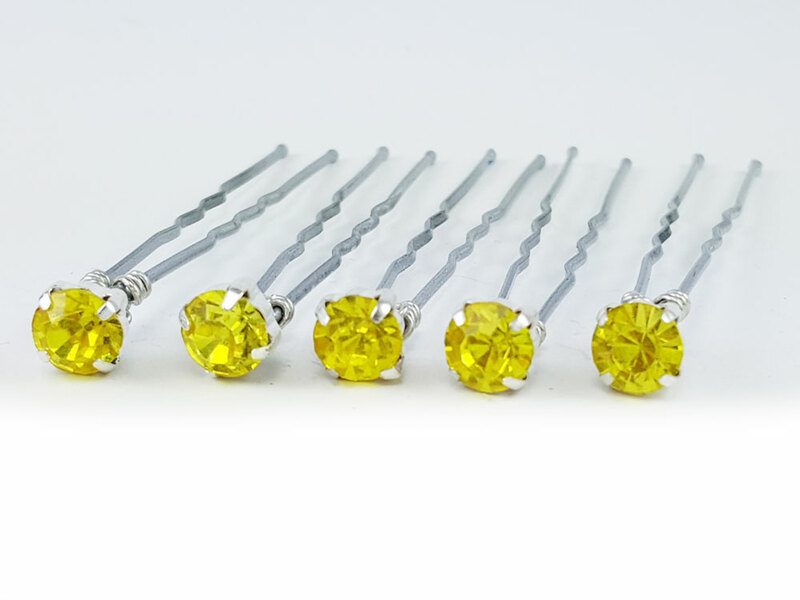 -Color match to Jonquil and Lemon Yellow on Stranded Treasures Color Palette.